Chromatic comprehensive grading tool plus all five of our look collections, Feature Looks, Beauty, Fashion, Food, Sci-Fi Looks, LOMO Looks and Social Media Looks. These LUT packs are designed by professional colorists, DOP's and film makers with decades of experience in the industry. Unique features include the ability to create subtle looks by lowering the intensity of the LUT in shadows, midtones and highlights, custom intuitive sliders, realtime previews of LUTs in our LUT browser and realtime wipe preview. Feature Looks Collection - The first LUT collection for LUTx is a set of 40 Feature Film looks designed by experienced film colorist Shane Bartley. Beauty Fashion Food - The LUTx Beauty Fashion Food LUT collection comprises 30 looks designed by experienced colorist Shane Bartley. LOMO Collection - The LUTx LOMO LUT collection comprises 42 looks designed by award winning Director, Photographer and DOP Remo Camerota. The Sci Fi Collection - The LUTx Sci Fi collection comprises 30 looks designed by Film-maker / Creative Jake Carvey inspired by science fiction, from cyborgs and rockets, to AI and cyber space. The Social Media Collection - The LUTx Social Media collection comprises 42 looks designed by award winning Director, Photographer and DOP Remo Camerota. Chromatic is the most complete and flexible grading plugin for Final Cut Pro X. Featuring integrated mask tracking with the Academy Award wining mocha tracker, powerful color keying, full RGB and HSL curves, three way colors wheels, auto white balance, exposure and color temperature. Unlike other solutions, in Chromatic all these functions and more are available in one powerful product. Our all in one solution put all the tools you need in a simple clear interface, including tracked masks, and individual grades overall, inside the mask and outside the mask. Also included are Camera LUTs for many popular cameras that can shoot with a log color curve, including Sony A7S2, Panasonic GH5, Blackmagic Design camera's and more. No additional installation or hunting for LUT files, it's drag and drop. The included AutoWhite Balance can quickly help mitigate issues of poor color balance on set, using either whole scene analysis or by picking a reference white, a huge time saver. Many people want full Photoshop style Curves controls for Final Cut Pro X, now you have them, RGB, HSL and for advanced uses LAB Curves. 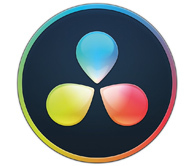 Chromatic is the only grading solution for Final Cut Pro X with fully integrated tracked masks. With just one layer you can apply a grade overall, inside the mask and outside the mask, saving the otherwise tedious task of duplicating layers and complicating the timeline. For more tutorials, visit the Details page. Chromatic can load LUT files as part of the workflow but we also include a license for our stand alone LUT loader LUTx and the feature film look collection. We have other LUT collections for sale and you can also create your own LUT collection of standard CUBE files or import any LUT files you have purchased elsewhere. Manage your LUT collections with real time previews of the clip on the timeline using our own custom LUT gallery. "Chromatic gives me a whole new level of control.... It's fast, simple and most of all, accurate." "Chromatic feels immediately responsive, almost as if it is native to Final Cut Pro X. Incredible!" "Having the tracked mask with seperate inside and outside grades is a game changer, an essential tool"
"we're often shooting in mixed lighting conditions. the auto white balance is great for first corrections." "Color Replace with mask tracking saves me a huge amount of time when fixing skin tone issues." "The Hue and Saturation curves are smooth and fluid, Hue vs Saturation saves me again and again..."
So, what's new in the October 2017 update of Chromatic? Support for the Tangent Ripple control surface. For best performance, we recommend you use a graphics card with 512MB video memory (VRAM). 1 GB VRAM is required for rendering 4K projects. In this tutorial, learn how to isolate and grade skin tones without changing the background with Coremelt's Chromatic for Final Cut Pro X.